Indeed, Abraham was an Ummah, devoutly obedient to Allah, inclining toward truth, and he was not of those who associate others with Allaah. Those who believe and do not mix their belief with injustice – those will have security, and they are rightly guided. His saying: “Those who believe and do not mix their Eemaan with injustice.” Meaning: that they do not mix their Imaan with Shirk. So the one who does not mix his Imaan with Shirk, not minor or major, then this is one for whom it is hoped that he has actualised Tawheed. And if he actualises Tawheed, then he has absolute (complete) security and guidance – meaning that such a person has reached the highest level of security and guidance. The previous verses in the chapter on the “Excellence of Tawheed” (Chapter 1) can be used as an evidence in this chapter. So it can be said that the one who actualises Tawheed by not mixing his Imaan with Shirk, then he will enter Paradise without a reckoning. As for the one who mixes his Imaan with Minor Shirk (which does not exit one from Islaam), or something of major sins, or with innovations that do not reach the level of Kufr (unbelief), then such a person is subject to Will of Allaah (He may punish him for a time, or pardon him). And Ibraheem, who fulfilled [his obligations]. So Allaah gave him the true leadership – and this is a proof of the leadership of Ibraaheem (‘alaihi salaam). There has already been for you an excellent pattern in Ibraaheem and those with him. And they who do not associate anything with their Lord. This is a description of the accomplished believers, those established upon the actual, true Tawheed in the best way. They are the best example of those who actualise Tawheed. That hold the loftiest station with Allaah, the Mighty and Majestic. His saying: I was once with Sa’eed b. Jubair, when he said: “Who amongst you saw the shooting star last night?” This refers to a fierce, swooping star that is thrown, brightly lit. His saying: “I said: I did.” However, he feared for himself riyaa’ (showing off), so he said: “I was not in the prayer at that time, as I was stung [by an insect or scorpion],” as if to say: ‘But the thing that kept me awake was the fact I was stung. So he informed them of the reality to repel riyaa’, desiring not to seek the praise of the people. “Or a sting,” Is a poisonous bite or sting from a snake or scorpion for example. The saying of Sa’eed b. Jubair: “He who stops at what he heard has done well.” Meaning, that the one who stops at what he has heard and acts upon that, has indeed done well. From this it is understood that from truly actualising Tawheed is to abandon certain permitted means of cure such as cauterisation and divine incantation (ruqyah). I say: Ruqyah (or divine incantation) is an affair that is textually reported as well as the Messenger’s (salallaahu ‘alaihi wassallam) tacit approval of it. So is it the case that every form of ruqyah has within it a depreciation of one’s Tawheed; or is it the seeking of ruqyah from others that depreciates Tawheed? Then this is answered in his saying: “They are those who do not seek Ruqyah,” meaning, that they do not seek it from others. As for the narration, “They do not perform ruqyah,” then this is perhaps an ambiguity emanating from the narrator. So when a person performs ruqyah upon another, then this deed of his is not a deficiency in his Tahweed or in his reliance upon Allaah. As for one performing ruqyah on oneself, or ruqyah is performed without one requesting that, then there is no forbiddance and no harm in that – and by doing so there is no depreciation in one’s perfecting Tawheed. However depreciation in the perfection of Tawheed occurs when one seeks ruqyah from others. The Messenger’s (salallaahu ‘alaihi wassallam) saying, “and they do not get themselves cauterised.” It is reported from the Prophet (salallaahu ‘alahi wassallam) that he cauterised As’ad b. Zaraarah  (radiyallaahu ‘anhu). Therefore the act of cauterisation or branding is permissible, and leaving it alone is from the perfection of Tawheed. The saying of the Prophet (salallaahu ‘alaihi wassallam): “They do not follow omens,” meaning here that they do not find bad signs and omens in themselves [due to what they see, or hear, or due to certain places and times – such as certain days or months (marriage in Shawwaal) known to in the days of Jaahiliyyah to bad omens. The Arabs, in their pre-Islamic days of ignorance, would desire to do something good, then they would see a bird fly to the right or left, and based on what that would mean to them, they would delay that act, thinking it to be a bad sign. The Sharee’ah nullified all of this due to the harm it cause to humans in their intellects, their thinking and their behaviour. All of these affairs diminish the perfection of Tawheed except for following of omens, for that is forbidden and his has no real basis to it in any case. (see Ibn Uthaimeen, Qawlul-Mufeed ‘alal-Kitaabit-Tawheed)]. And this is from the perfection of one’s Tawheed. The saying of the Messenger (salallaahu ‘alaihi wassallam): “And they put their trust in their Lord.” Meaning that they leave off these means of remedy that are permissible for them in favour of relying solely upon Allaah, this is from the perfection of Tawheed. So it is apparent from this hadeeth that the 70,000 who will enter Paradise without a reckoning and without being punished reach this station due to their perfecting Tawheed. As for other forms of treatment that are are not mentioned in this hadeeth of the 70,000 that are mentioned in other texts, then utilising those other treatments does not exclude one from being from the 70,000 who enter Paradise without a reckoning and without punishment. And this is due to the fact that those other texts encourage the use of those remedies, such as honey, black cumin seed, etc. 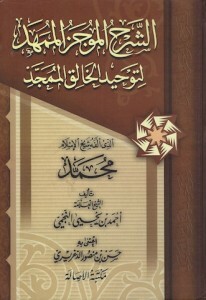 See Ibn Uthaimeen).